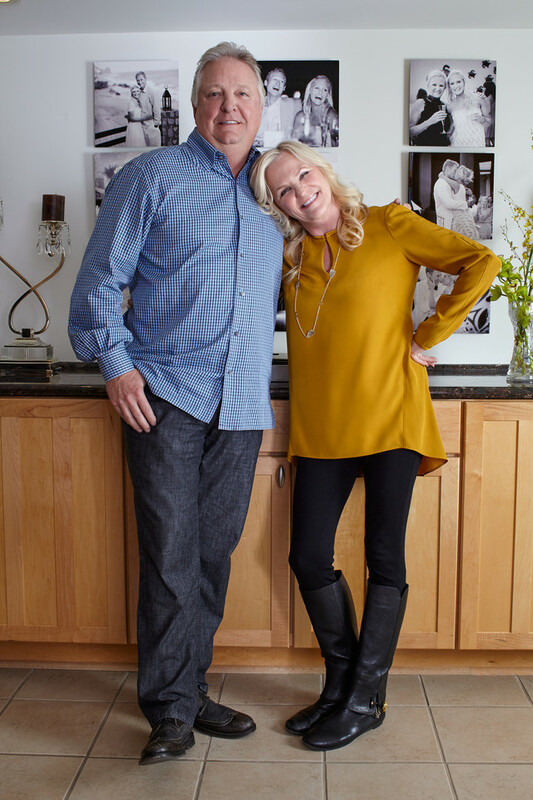 You see, Melissa and Ron have been sweethearts since they were 13 growing up in Missouri. He was the quarterback. She was the cheerleader. Swoon. And when they designed their home office space, they wanted a place that was cozy, comfy and displayed how they've grown up together. 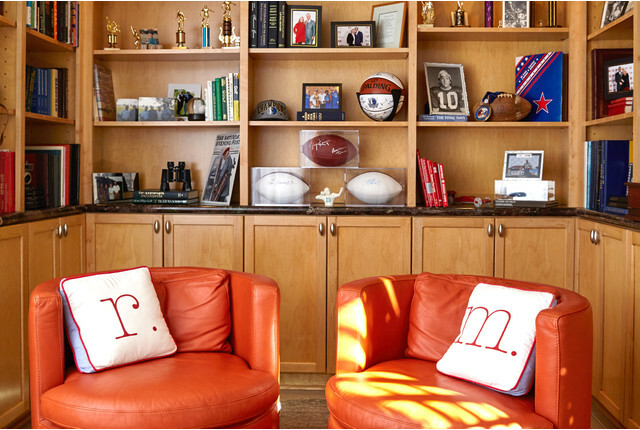 Ron's football memorabilia is artfully organized on the shelves in the home office. 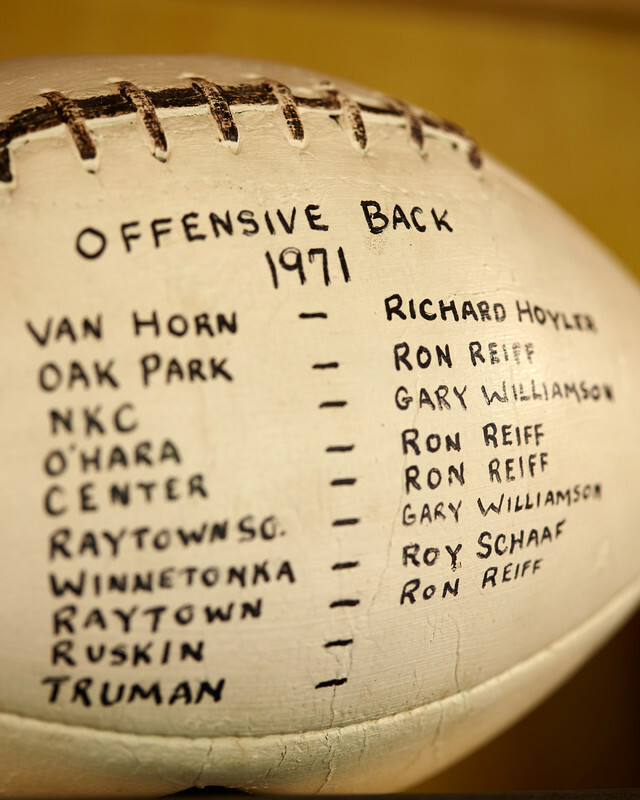 We just love this football from Ron's senior year in high school, where you can see he was named Offensive Player of the game multiple times. 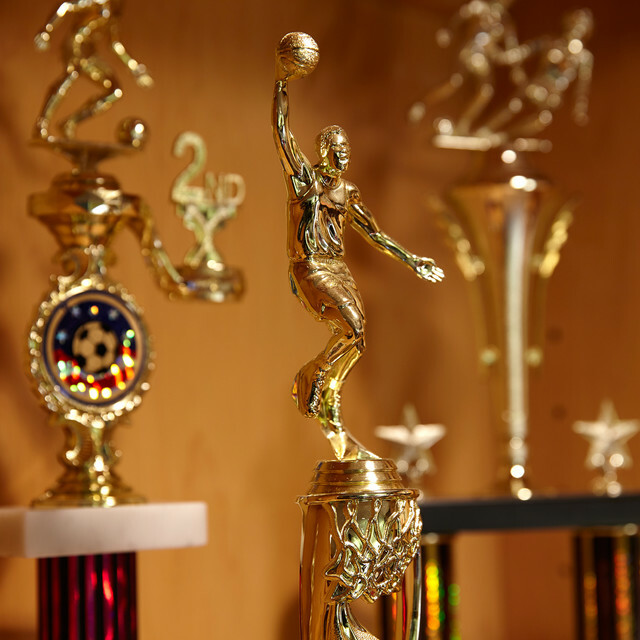 Sadly, the last two games of the season never happened due to some school bond proceedings. 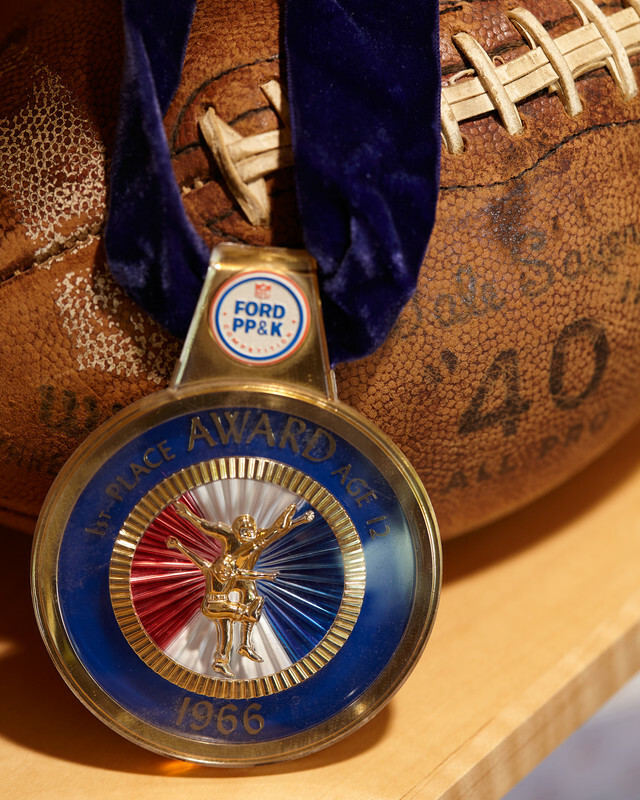 But nevertheless, it's a very special piece of history for Ron. 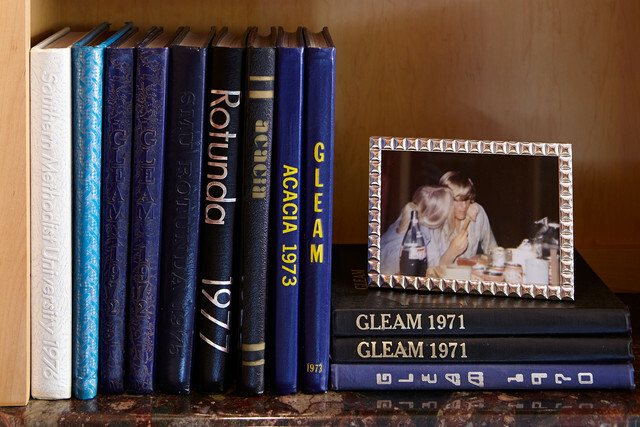 The couple's high school yearbooks and wedding album are at their fingertips in the space when they want to take a fun walk down memory lane. 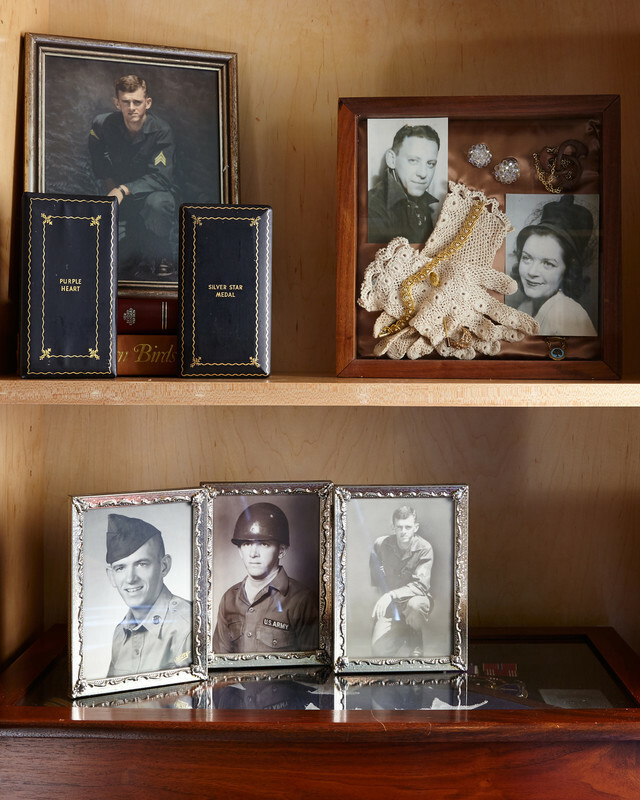 Pictures of family can be spotted throughout the space. 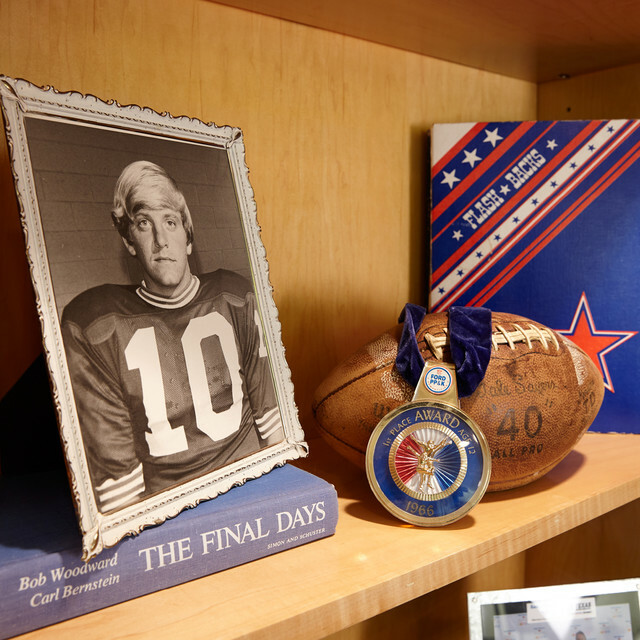 They proudly display the Purple Heart and Silver Medal that were bestowed upon Ron's brother Mike, who lost his life in the Vietnam War. 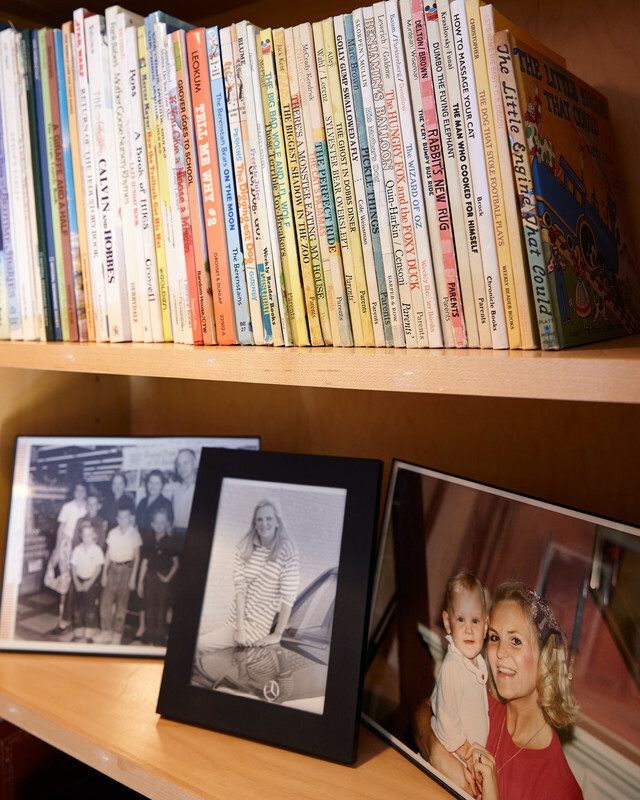 The childhood storybooks of the Reiff's (now grown) kids, Jacob and Piper, line a top shelf and are great for story time with Melissa and Ron's grandson Gibson, Jacob's two-year-old. 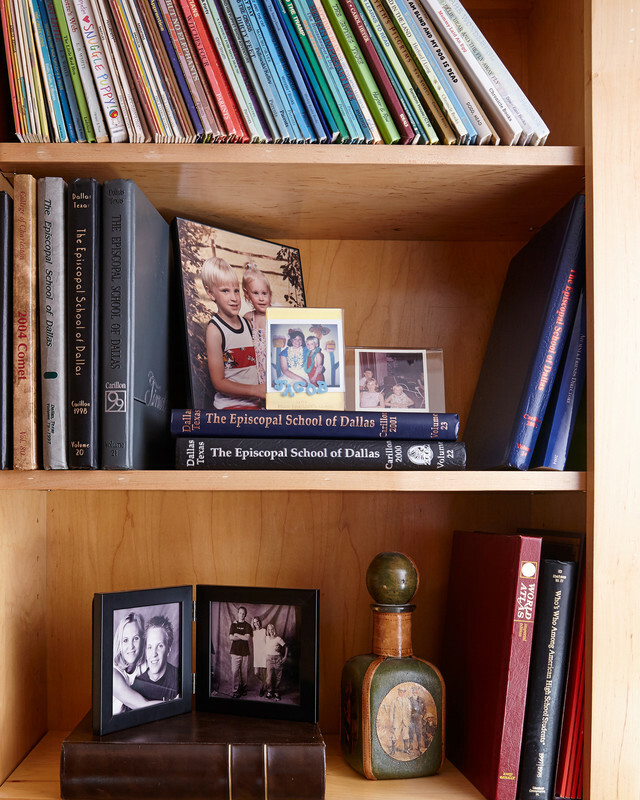 Family photos are found throughout the house and have special spots in the home office too. 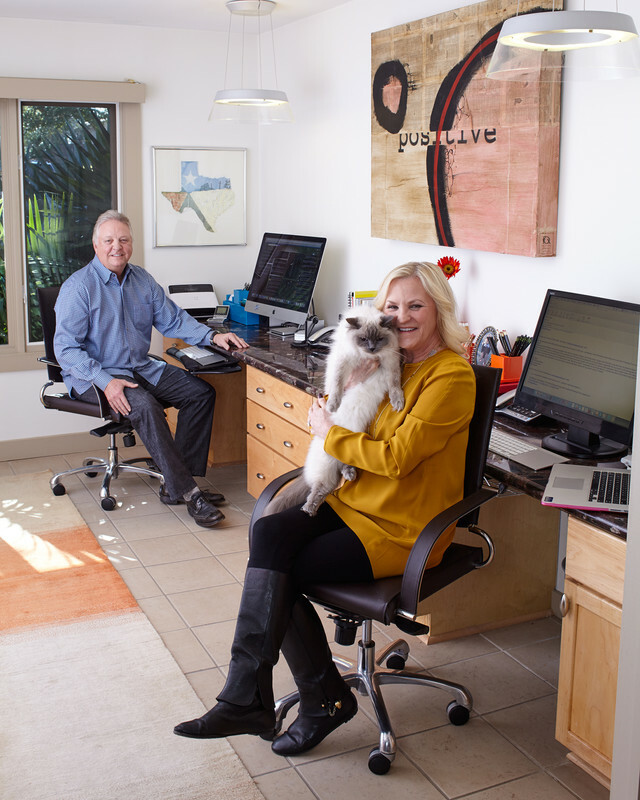 The Reiff's three Ragdoll cats are also frequent visitors to the home office - Dirk (named after the Dallas Maverick's Dirk Nowitzki), Annika (after golfer Annika Sorenstam) and Fanny (after Barbara Streisand's Funny Girl character, Fanny Brice). Here, Fanny strikes a pose before choosing a place to lounge. When they aren't reminiscing in the space, they are working at the desktop built for two. Ron, now retired, takes care of the house, pays bills and manages the couple's busy schedule. Melissa uses her computer in the space strictly for work related to The Container Store. 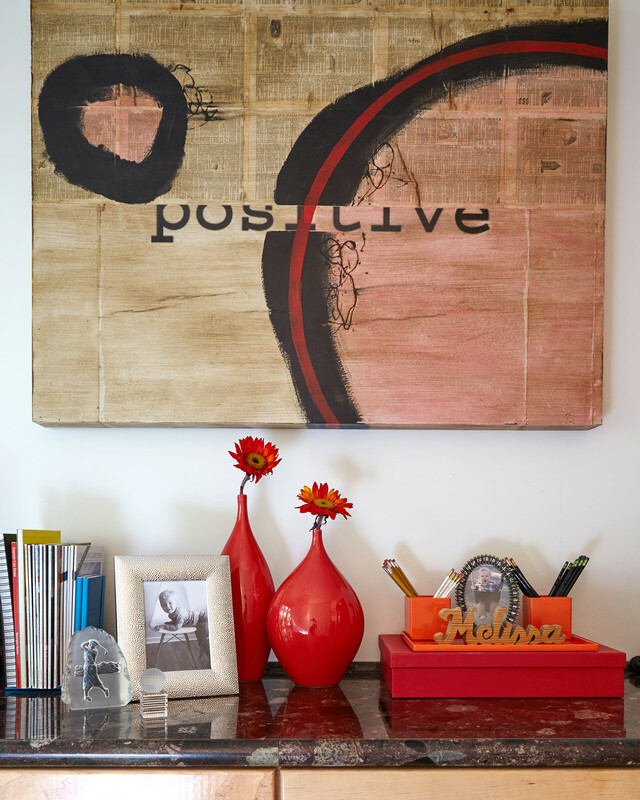 A fun piece of art that hangs above the desk area truly evokes the couple's outlook on life. 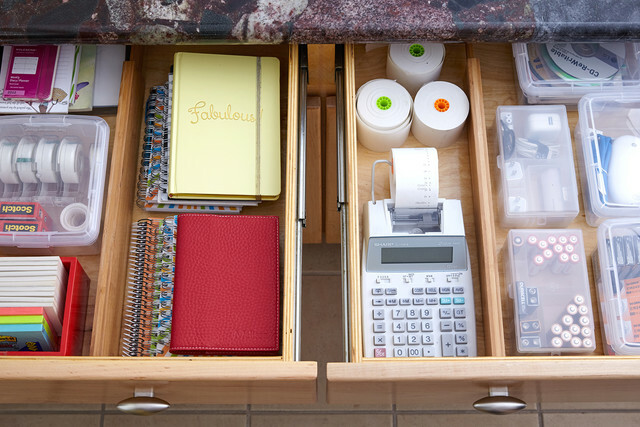 The drawer organization in the office is a fun surprise when opened to reach for supplies. 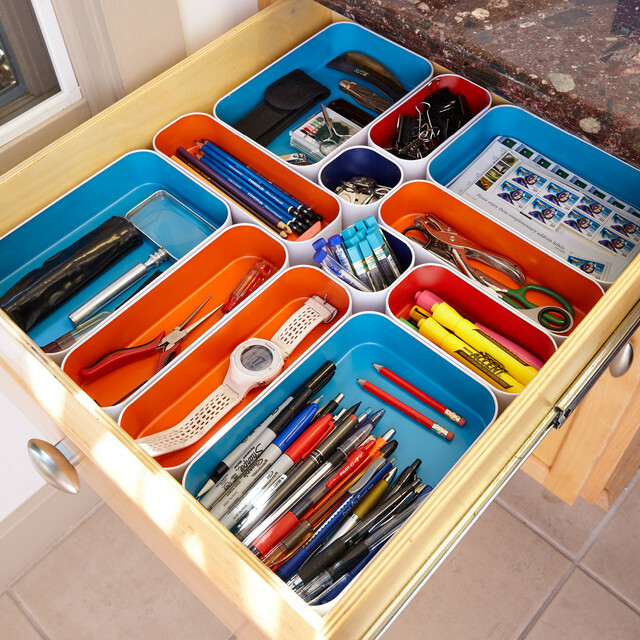 Drawer organization definitely doesn't have to be drab? The pops of color are perfect! Melissa's three-year At-a-Glance calendar is always close at hand. 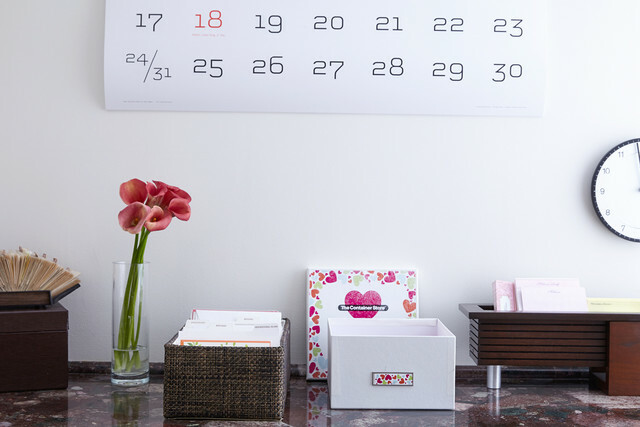 While she also uses an electronic calendar, she likes to have this view on paper to easily see her work calendar, important dates, travel plans and more. 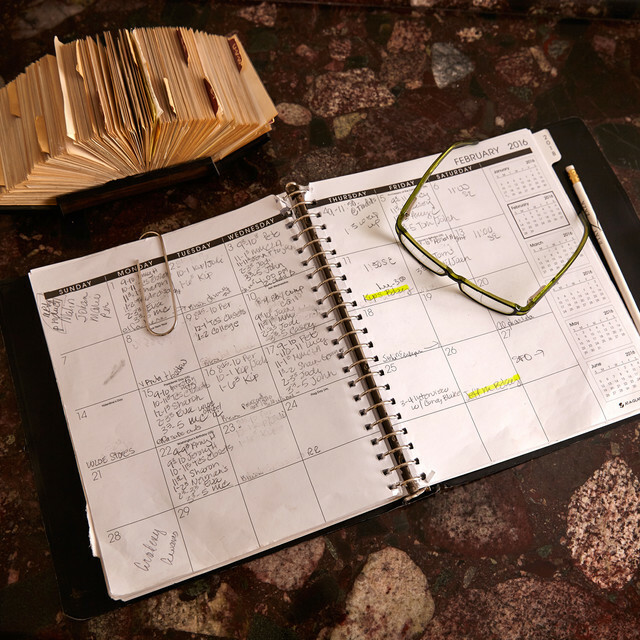 She says she's carried this type of calendar for as long as she can remember, and it's a part of her organizational system and daily routine. Ron still keeps his old Rolodex in the office - more for sentimental reasons, as he, too, keeps his contacts organized electronically. A box of sweet wishes from Melissa's colleagues is nearby as a reminder of our employee-first culture at The Container Store. Every year on Valentine's Day, we celebrate We Love Our Employees Day - a day to appreciate each other and our special workplace. Who says you can't mix work and play? 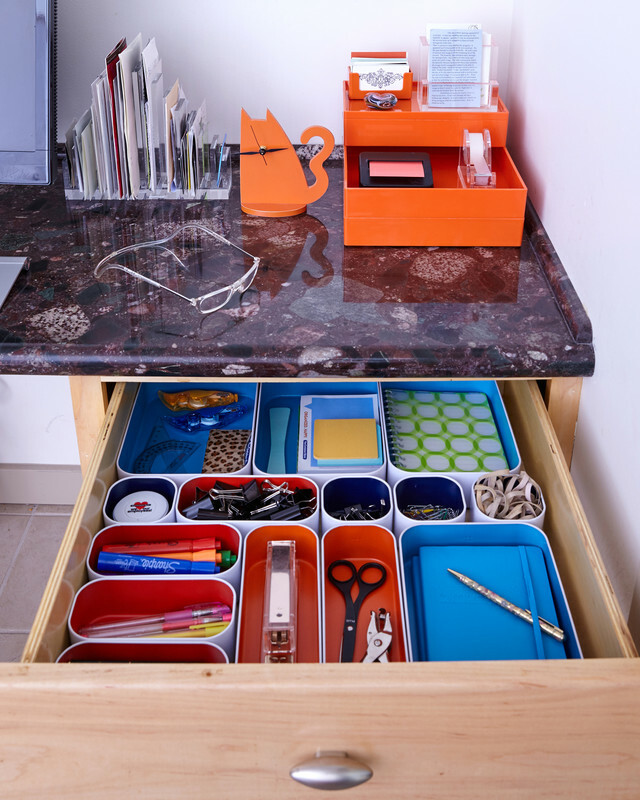 Yes, there's definitely a lot of love in this home office! 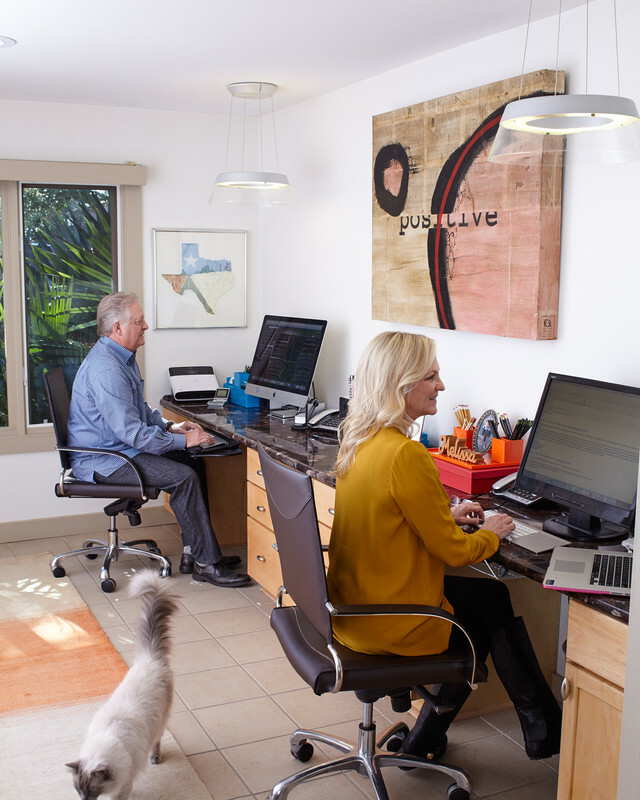 And we wholeheartedly agree the Reiff's fun approach to this great space is giving us home office harmony envy! 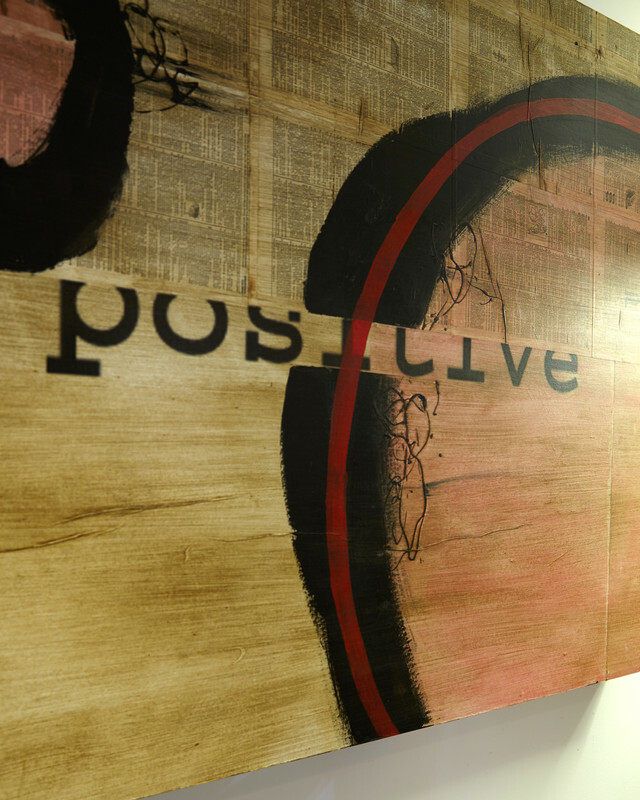 Inspired by Melissa's office and story? Let us know why in the comments section below and you'll be automatically entered to win a $2,000 office makeover and your very own office story in our Be Inspired. Comment. WIN! contest.